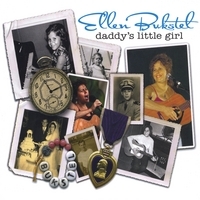 Born and raised in Miami, Florida and a veteran to the stage since childhood, Ellen Bukstel studied and performed classical piano for many years only to find that her real love of music came later, as a teenager, when she taught herself to play, first the ukulele, then the guitar and discovered her voice. From her first solo piano debut with the Miami Symphonic Orchestra at the age of 10 to performing before a cheering audience of 2200 for a Miami-Dade Democratic fundraiser featuring Guest Speaker Senator Barack Obama, her powerful songs and music videos nurture the causes she supports, affirm her love for her family and routinely bring her audiences to laughter and tears...sometimes both simultaneously. From hilariously funny to moving compositions of love, remembrance, and social awareness, her songs always hit home. She sings from the heart about her life and family….and brings all that passion to the stage. Ellen's first original song, Another Place In Time, started as a poem called Legacy Of Love that she wrote to her husband Douglas Segal, just prior to his death in 1988 at age 36 from hemophilia-related AIDS. Co-written with good friend Paul Hoyle, she began to deal with her grief though her music. Her song A Wooden Box, with the backdrop of an actual TV broadcaster announcing Doug’s death, walks us vividly down the painful and difficult road of a young widow and her three toddler children as they bury their father. Ellen’s song Grow Up and Change the World expresses the sentiments of a letter written by Doug to his children with a hopeful plea to keep his memory and values alive. During the two years of his illness Ellen and Doug shared their story publicly together, educating literally thousands of people about AIDS by speaking out hundreds of times in the community. Due to their work an AIDs Curriculum Guide was introduced in Miami-Dade County Public schools; they presented to President's Commission on AIDS and invited by Congressman William Lehman to present testimony on AIDS before the Subcommittee on Labor, Health and Human Services and Education in Washington, DC. Ellen has been an activist ever since, raising her three children, performing her music and speaking out publicly. This dedication and labors of love brought Ellen the honor of being chosen to carry the Olympic Torch for the 1996 Olympics and she shares the poignant tales of her fellow torch bearers in Raise The Torch. Losing her father to Alzheimers Disease inspired her first solo song writing effort, Daddy’s Little Girl, which was chosen as a finalist in the esteemed New Folk Songwriting Competition at Kerrville Folk Festival. She affectionately refers to this song as her “good luck” song since it has consistently been recognized in many songwriting competitions across the country and helps to keep the memory of her father alive. Ellen has honed and combined her exceptional art, design and music skills to write songs and produce powerful music videos. Her first one is called Faces of Violence featuring her song You're Not Better Than Me. Her powerful voice and lyrics are the backdrop to a choreographed black and white photo study representing women and children in the community who are victims of domestic abuse. Subsequently, this song was judged from hundreds of entries as the Winner of the “Breaking The Silence in Song” competition chosen by five Grammy Award winning artists: Michael Bolton, Cissy Houston, Darryl “DMC” Mc Daniels, Warner Music Group’s VP Kevin Liles and Ben E. King. This competition was sponsored by Warner Music Group, Women Who Jam, (NCDAV) National Coalition Against Domestic Violence and (NABFEME) National Association of Black Female Executives in Music & Entertainment. "Ellen Bukstel's beautiful voice and poignant lyrics on her track, "You're Not Better Than Me" create an anthem and a voice for the thousands of survivors and victims of Domestic Violence who hopefully now know that they are not alone. I was honored to have judged the contest that led us to Ellen--an amazing artist and spirit. Watch the video, listen to the song and you will know what I know....that Ellen has managed to capture the horror of Domestic Violence while providing hope for thousands...all in a ballad that stands on its own as a great song." Her songs are making a difference. Her music videos have been used to raise monies and awareness for nonprofit community organizations including her song Tikkun Olam, Repair The World, licensed to The Greater Miami Jewish Federation for their Annual Campaign 2007 and Somebody's Child licensed to Camillus Houses’ for their $88 Million Capital Campaign 2008 to help house the homeless in South Florida. Ellen’s son, Todd Segal, graduate of Full Sail and a young successful film maker in LA, has been her co-producer as well and a creative and technical force behind her powerful music videos. In addition to her own original songs, Ellen teams up to to write with her friend and fellow baby-boomer, Nancy Wuerzburger. Together they have found humor in the everyday concerns of today’s woman; from Hot Flashes to Voting Reform. It all adds up to award winning songs that vividly describe the joy, sadness and the humor of life that many can relate to including the hilarious, insightful and award winning song It Hot in Here or Is It Me? Ellen's sultry voice is striking a chord with Hot Women across the country.This playful, hilarious anthem to menopause hits all the hot buttons of women going through life changes, and has their partners nodding and clapping in wholehearted agreement. Bukstel is turning up the heat on menopause, and women everywhere are applauding. The song made a splash with Dr. Demento and was chosen for his 2004 Basement Tapes #12 CD Compilation; it is also on the 2006 Momapalooza, Moms Who Rock CD Compilation. Ellen song writing has brought her national recognition, from Songwriter Competitions and CD Compilations to licensing opportunities and commissions for music videos for social and political causes. She was one of the top three winners at the 2007 Wildflower Arts and Music Festival, where she rocked the house with Is It Hot In Here, Or Is It Me? and They Lost My Vote (co-written with Nancy) ...a humouous satirical song that speaks to the issues of election reform. It has been feartured on Air America's Thom Hartman show among others and has been adopted by many election reform organizations as their 'voter reform' anthem. Ellen and her good friend and award-winning songwriter, Nick Annis co-wrote a song called By My Silence. A panel of judges including such esteemed artists as: Tom Chapin, Janis Ian, Tom Paxton, Judy Collins, Holly Near, Len Chandler, Christine Lavin, John Stewart, Peter Yarrow, Noel Paul Stookey, Cheryl Wheeler and Mary Travers chose the song as winner of the coveted 2008 Music To Life song competition sponsored by Paul Stookey's Public Domain Foundation, which sponsors the competition to promote and facilitate the creation of cause-related music and furthers its impact upon issues and organizations of social and political justice. your passion, your voice, your musicianship, your meticulous recordings...."
With three CDs under her belt, she has finally produced her first solo project called Daddy’s Little Girl, (CDBaby) co-produced with her son Brett Segal, an accomplished producer, arranger, drummer and recording engineer. A native of Miami, Florida, Ellen’s parents encouraged her long years of study of classical piano; Ellen’s mother Rita, herself an accomplished opera singer, imparted the love of all music to Ellen and her two brothers. Ellen and her younger brother Gary Bukstel have been performing together since they were teenagers, originating their first musical group LEGACY, in Doug’s memory. Both performing singer/songwriters blend each of their own unique acoustic power-folk-pop style with their original songs and remarkable harmonies, a product of their "sibling relationship". When they sing together they rock the house with their high energy producing sounds and songs from the soul. Their combined talents delights audiences everywhere. Occasionally Ellen travels down memory lane to her teen years by performing songs from the sixties in an original show called "My Life In The Brill Building". Ellen, together with folk guitarist and singer Rod McDonald, and jazz violinist and singer Nicole Yarling, they join with 1960's hit songwriter George Goehring as he tells the stories behind the music and reminisces about the REAL rock ‘n roll capitol of the day, the Brill Building on Broadway, in New York’s famous “Tin Pan Alley”. They sing songs together that were recorded by artists like Elvis, Sarah Vaughn, Dion and Barbra Streisand.They have performed this nostalgic show to sold-put audiences and standing ovations!! Ellen was recently accepted as a voting member of The Recording Academy / Grammy Awards.